Can Your Gynecologist Be Your Primary Care Physician? Most adults have a handful of doctors they visit for their varied health issues. If you are a woman, maybe you have a primary care physician, a cardiologist, a dermatologist, in addition to your gynecologist. Or you may have a primary care physician, an oncologist, and an endocrinologist. 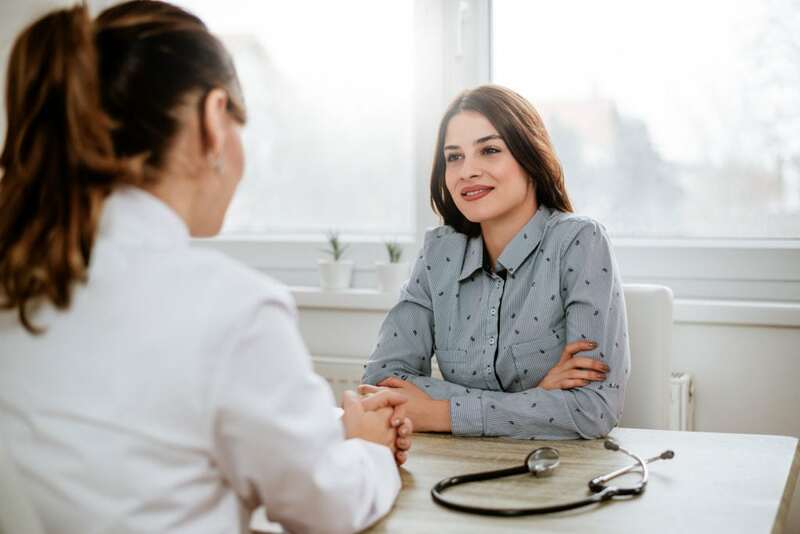 Wouldn’t it be easier if you could uncomplicate your medical team by relying on your gynecologist to treat the same issues your primary care physician? Deciding to use your GYN as your primary brings with it many benefits. But is it right for you? PCPs are your first line of care when it comes to your health. PCPs provide maintenance care, such as administering flu shots and annual physicals; provide referrals to specialists; and are where we go when we just don’t feel well. PCPs see patients of all ages, both male and female. And while PCPs see any number of common, and rare, health conditions on a daily basis, they do not treat them all. A large component of a PCP’s job is to ensure you get the expert and quality medical care for your specific health issues. PCPs do this by helping patients navigate through the medical field by referring them to the right specialists. Whether you have allergies, back pain, or a heart issue, a PCP will be able to refer you to the right type of doctor for treatment. What Does a Gynecologist (GYN) Do? While gynecologists have formal medical education and training in overall health, their specialty is women’s health, pregnancy, issues with the reproductive system, and the hormone system. And while PCPs perform routine women’s care in the form of pap smears and breast exams, women seeking help with female-related concerns usually seek out a gynecologist because of their expertise diagnosing, treating, and preventing diseases particular to women’s health. So does this mean you should talk to your gynecologist about gynecology related health issues only? No! Gynecologists can specialize in a variety of women’s health issues that primary care physicians may also deal with. For example, some gynecologists also specialize in weight loss management and hormone therapies. Some gynecologists also specialize in nutrient therapy, aesthetic treatments, and allergies. Many reputable gynecologists have women’s care clinics that deal with women’s health issues that go far beyond just gynecology. Before you rule out talking to your gynecologist about your condition, ask them about what types of health issues they specialize in. While your gynecologist may not treat every health issue you have, there is a good chance they can treat more health issues than you expect. If you are searching for a high quality and reputable gynecologist, Dr. Ladynez Espinal of the Lady’s Care Center is the one for you. The Lady’s Care Center offers an array of healthcare services designed specifically for women, including gynecology, obstetrics, weight loss management, hormone therapy, food allergy testing, and even cosmetic procedures to help you look and feel beautiful and healthy. The Lady’s Care Center can treat a variety of your health conditions and needs, saving you time and making it easier to manage your health. To make an appointment, call 954-538-1700 or request an appointment online.